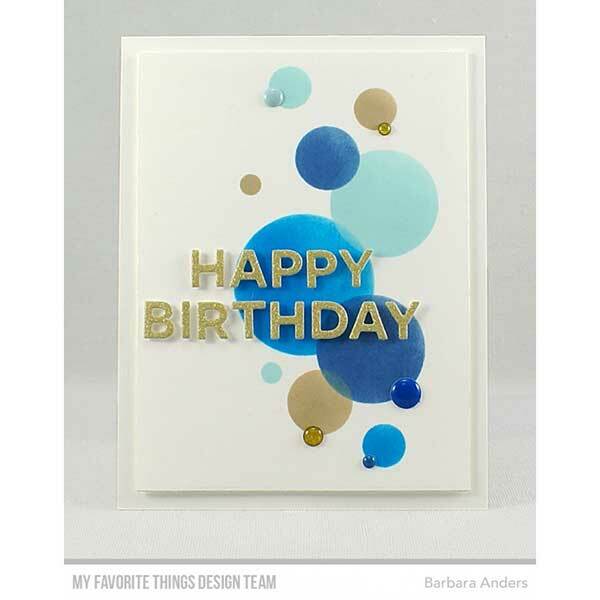 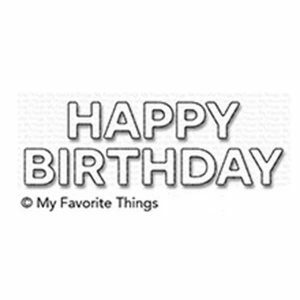 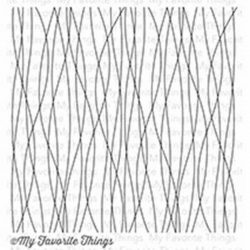 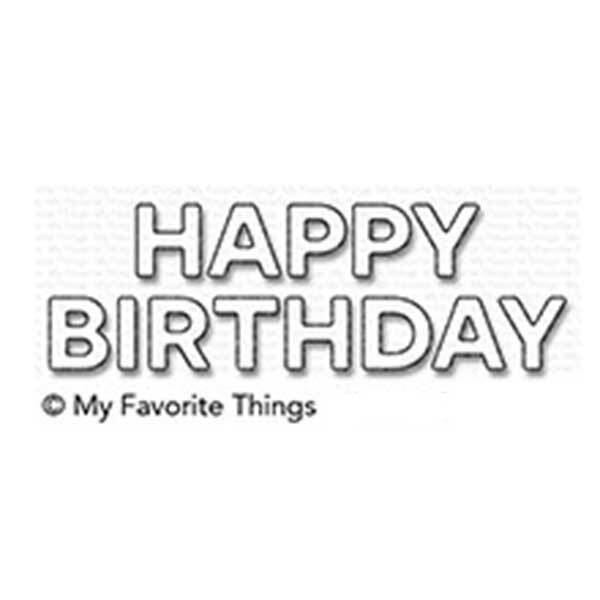 Block Happy Birthday die set by My Favorite Things. 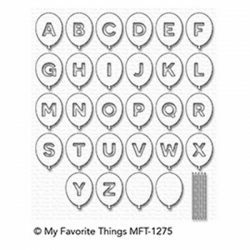 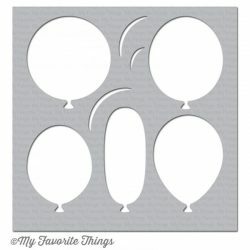 This set is the perfect complement to the Balloon Alphabet and Balloon Numbers Die-namics but is also great to use with a multitude of other products. The font size and type is identical to the balloons to ensure a seamless integration.